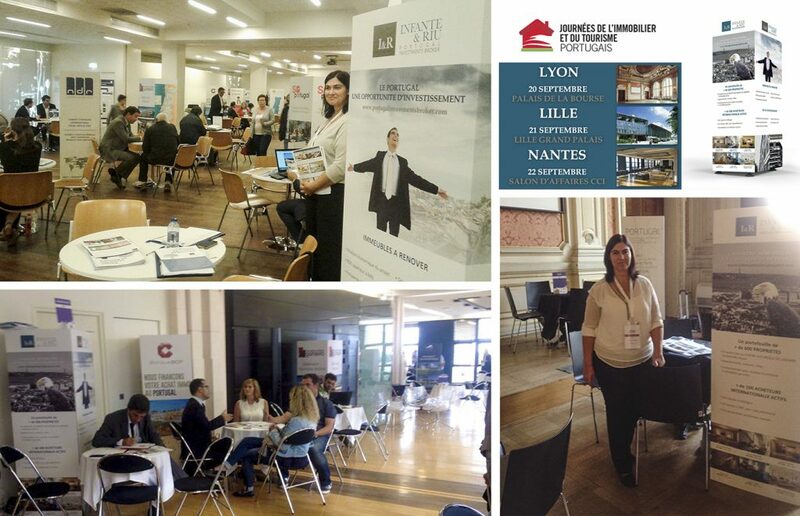 INFANTE & RIU was present at the PORTUGUESE REAL ESTATE ROADSHOW in FRANCE, in the cities of Lyon, Lille and Nantes, from 20th to 22nd September 2016, with an own display, where we promoted more than 650 properties that we have in portfolio and several investment projects with high revenue (buildings to renovate and hotels). This event, organized by the French-Portuguese Chamber of Commerce and Industry, had 30 exhibitors from various areas (real estate, banking, insurance, tourism, city halls). After the success of the Portuguese Real Estate Fair in Paris that took place last May and received about 17,000 visitors in three days, the cities of Lyon, Lille and Nantes were selected for this roadshow not only for its geographical position, which allow to reach several regions of France, but also because they have an average of 30% of the population of retired seniors, a large Portuguese speaking community and several weekly flights to Portugal.